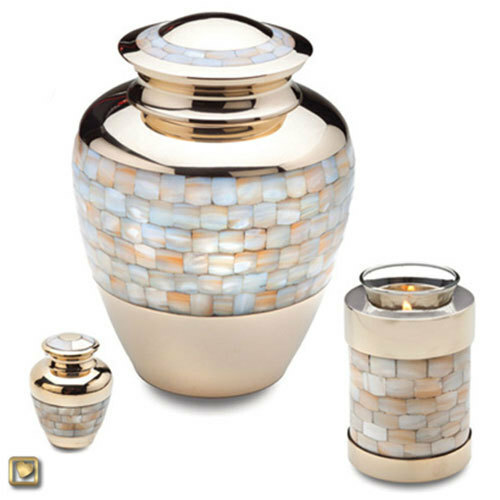 Our decorative tealight cremation urn keepsakes are a beautiful choice for your home. Each memorial keepsake can hold a candle as well as a small (18-20 cubic inches, depending on design) amount of cremated remains. 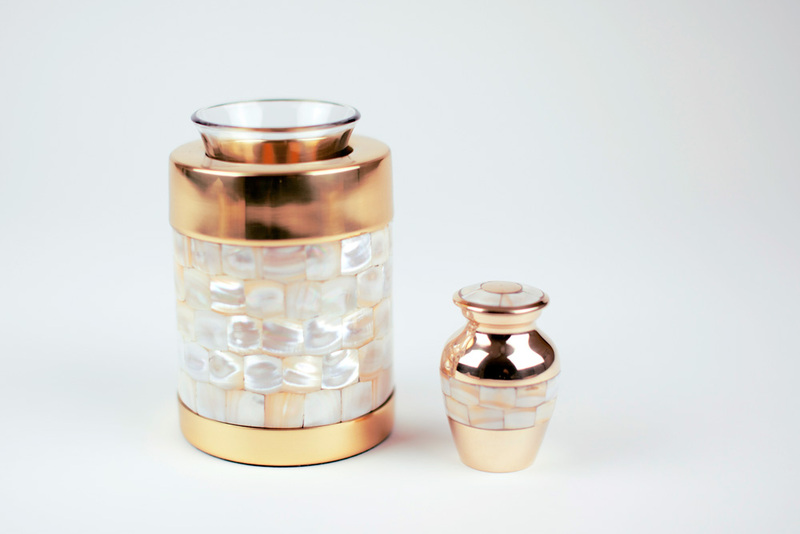 Crafted with excellence, the Tealight Keepsake Urns are a lovely keepsake memento for when the urn is buried, stored in a niche, or kept by another family member. 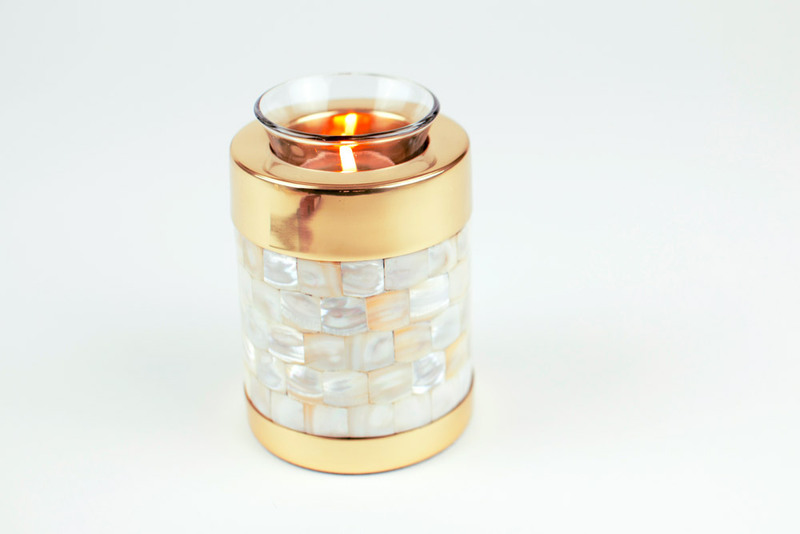 The tealight allows you to add a beautiful decorative accent to your home in a discreet manner. That way you can keep the tealight urn out in your home without drawing attention to the fact that it is a cremation urn. 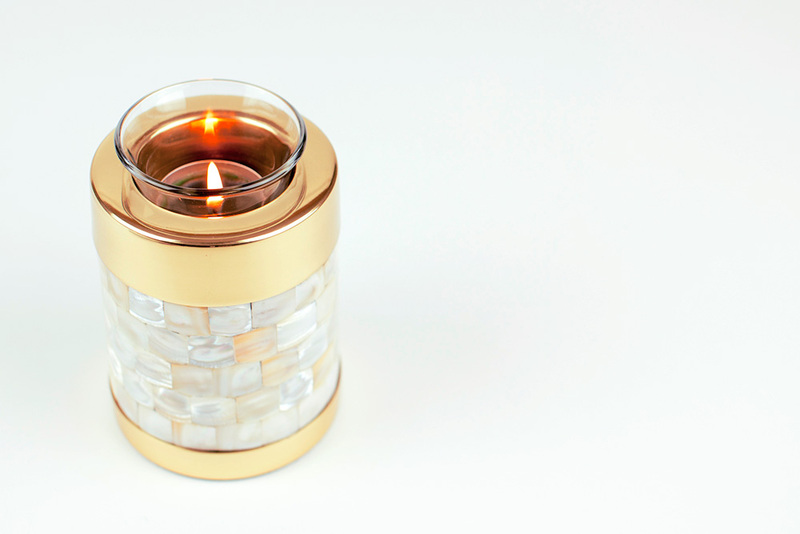 The top portion includes a glass tealight insert and a screw-off brass top that doubles as the tealight holder. 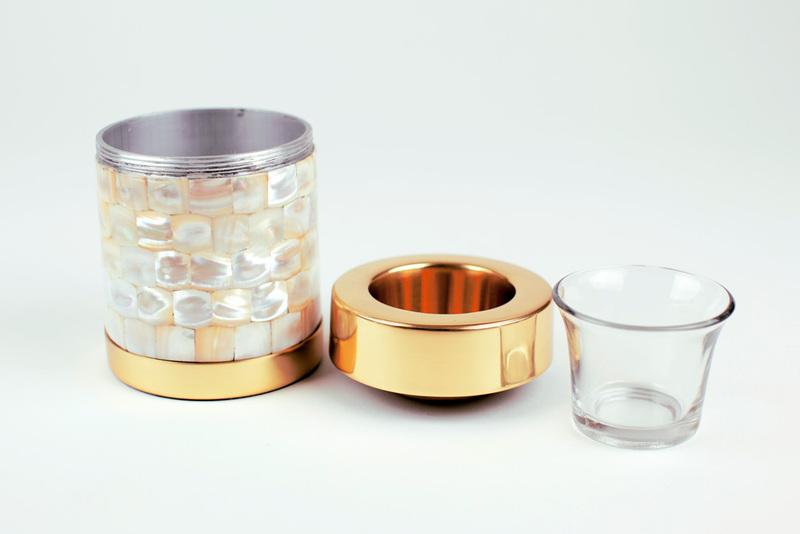 The base portion provides the space for holding up to 20 cubic inches of cremated remains (ashes), while providing the tealight with balance and space for the design. 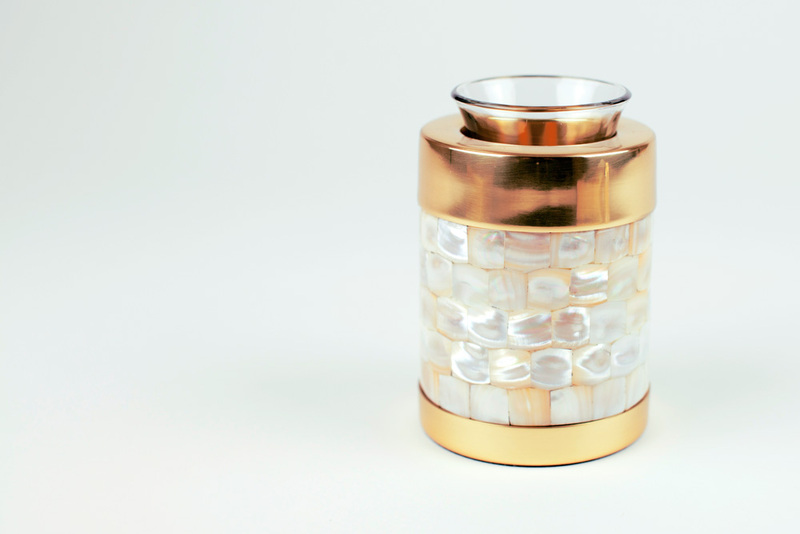 Below you will find a few additional photos of the Mother of Pearl Tealight Cremation Urn. Candle is not included with purchase; you will need to supply your own favorite style of candle. A velvet pouch is included to protect the urn for storage or transportation.